BEIJING (AP) — Beijing urged the United States on Thursday to stop slandering China after President Donald Trump accused the Asian giant of trying to interfere in upcoming American congressional elections. Geng Shuang, a foreign ministry spokesman, told reporters at a regular briefing in Beijing that the Chinese government does not interfere in other countries’ internal affairs. 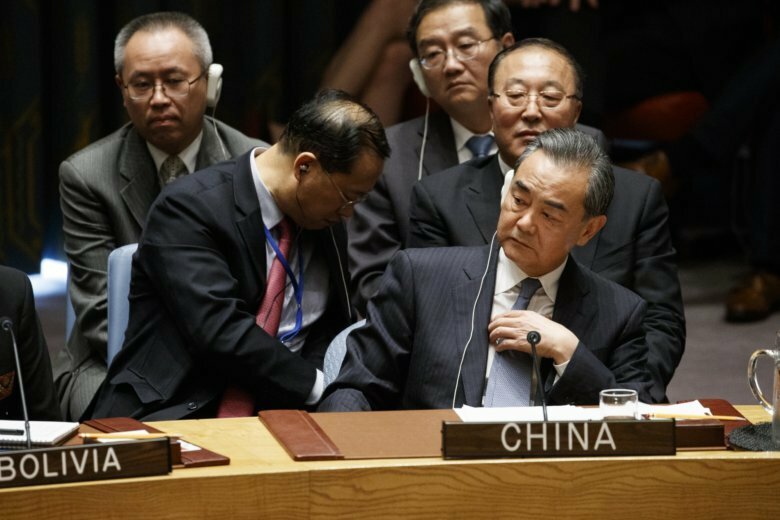 Trump said on Wednesday as he chaired the U.N. Security Council for the first time that China was meddling in the elections because it opposes his tough trade policies. The White House provided scant evidence of anything akin to the level of Russia’s meddling in the 2016 presidential election. Trump made his accusation against the backdrop of the special counsel’s investigation into Russian interference in the last election to help him and amid concerns that this November’s elections could also be vulnerable. Asked later what evidence he had, Trump said there was “plenty” but didn’t immediately provide details, suggesting that some of the material was classified. Instead, he zeroed in on China’s efforts to flood the U.S. heartland with ads and statements against Trump’s billions of dollars in tariffs on Chinese goods. Trump later tweeted a photo of an advertising insert called “China Watch,” saying China was placing propaganda ads in the Des Moines Register and other newspapers to make it look like news. Geng, the Chinese foreign ministry spokesman, defended the use of the paid insert in the Des Moines Register, saying it didn’t break any U.S. laws. “Labeling such normal cooperation as the Chinese government’s attempt to interfere in U.S. elections is totally far-fetched and fictitious,” he said.